Read Blog Posts From Student Diplomats And Hear From Current Students. Visit The Official Website By Clicking Below. Learn To Lead. Create Your Future In Pharmacy. The School Of Pharmacy Controls The Entire 4th Floor Of Mellon Hall. Welcome to the official WordPress blog of the Duquense University School of Pharmacy. Since opening in 1925, the Duquesne University School of Pharmacy continually earns recognition as a top school of pharmacy in the United States. Nearly 100 percent of graduates find employment immediately after graduating with a starting salary of over $110,000 on average and enjoy rewarding careers dedicated to improving health outcomes for individuals and the community. 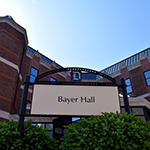 Bayer Hall, Home Of The Duquesne University School Of Pharmacy. The recipient of a 2015 Pinnacle Award from the American Pharmacists Association Foundation and ranked third in research funding among private schools of pharmacy by the National Institutes of Health, the Duquesne University School of Pharmacy ensures graduates always practice with integrity and learn the skills necessary to be a successful pharmacist in the present and the future. 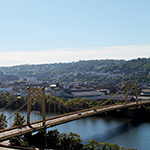 Duquesne University – Located Steps Away From Downtown Pittsburgh, The South Side And Cultural District. 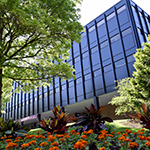 Secluded on the scenic Duquesne University campus overlooking downtown Pittsburgh, the Duquesne University School of Pharmacy combines innovative curriculum recognized by the Accrediting Council for Pharmacy Education and rooted in Spiritan Catholic values with practical training from nationally recognized faculty. Take the first step to a satisfying career in the health care industry, and let the Duquesne University School of Pharmacy help guide you along the way. Like What You Hear? Learn About Becoming A Student!